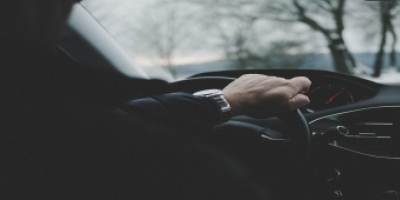 Why Income Protection for Driving Instructors? You may think that being a self-employed driving instructor means no more worries as you have your full control and ownership over your schedule and work shift pattern. Whilst this is technically true it could also mean you and your business will suffer. Many driving instructors usually work around 20 to 25 hours a week and sometimes even more. Keeping in mind sometimes lessons will get cancelled. Depending on how many students you are instructing you don’t get a lot of breaks at all. Even during the holidays, many instructors work over bank holidays or Christmas as well as throughout the summer holidays. Being self-employed as a driving instructor is not as easy as it may seem, especially as it involves so many hours of unpaid work, in terms of answering your emails and contacts, if you have your own website you also manage, when you are sick or when you get injured – have you ever thought about these unpaid coverages? This is why having Income Protection importantly comes at hand.Having an income protection plan is a safety measure and a safe guard which gives a beneficial service for you when you come into bad or unexpected situations in your life. It pays out a tax-free monthly benefit if ever time off has been taken from your work hours due to reasons like sickness or injury. It is of huge value due to the lack of sick play which usually would be employer-provided. It comprehensively covers any medical condition that practically prevents you from doing your normal work hours; like stress, physical pain conditions, heart disease and more. Full income protection, when arranged properly, will pay you a regular income (up to 88% of your take-home pay). In comparison to critical illness cover around half of successful income protection claims would not qualify as a critical illness and not be paid out under it. The income protection policy provides earnings to cover you in the long-term and lasts usually all the way until your retirement age. You might be thinking now on where and how to even begin. It might seem all too complicated in the beginning but this where Income Protection Expert comes into place to provide that help you need. You can directly get a quote from us or for further information you can chat with our experts.